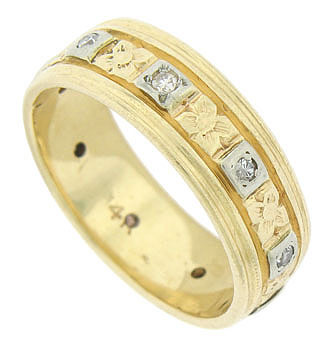 Deeply engraved flowers and white gold mountings set with dazzling round cut diamonds adorn the face of this 14K yellow gold wedding band. 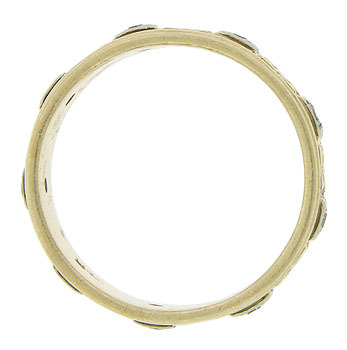 A trio of smoothly polished bands frame the central decoration. 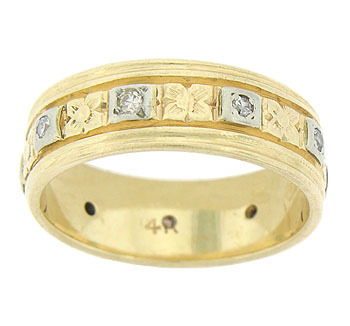 The Retro Modern wedding ring measures 6.79 mm in width. Circa: 1940. Size 8 1/2. We cannot re-size.